Standout sketches include a quite brilliant take on The Importance of Being Earnest titled Othello in Earnest. Written by Perry Pontac it sees Othello (an improbably but brilliant cast Fraser Haines) being grilled by Lady Brabantio (Kate Billingham) over his suitability for Desdemona's hand. For those having seen Earnest, it is an hysterical few minutes as we have twisted original lines and superb puns and the weaving of a sandbag into the immortal line. Richard Jordan steps well into the shoes of the Julie Walters role for the sketch Giving Notes (written by Victoria Wood), playing it impeccably. It is rife with classic Wood material, as prods and hints are given to the cast members of a planned comedy version of Hamlet. 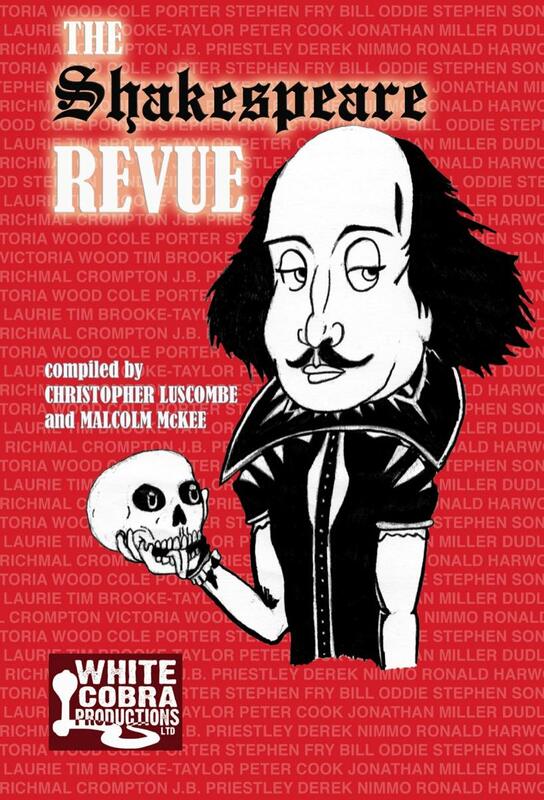 That play had also had another superb sketch earlier, when Fraser Haines' character returns in And How Is Hamlet?, to find that all is not well for pretty much everyone. A full company piece, it is brilliantly played by all. This company do indeed work as a team as good as any I have seen, the musical pieces are perfectly organised (including choreography from Mary O'Brien), and the fast paced nature of some of the scenes could perhaps only work as well as they do, with a team as familiar with one another as well as these from White Cobra. It is also quite incredible how varied some of the material is in this show. For instance I could hardly have expected a piece from Richmal Crompton's Just William to spring up, but up it does and Richard Jordan cuts an impressive William figure guiding the unwitting tourist towards Anne Hathaway's cottage (actually Mrs Maloney's in a brilliant comic turn from Bernie Wood). It is an excellent production of a fun, varied and constantly funny show, which also had a far sprinkling of great musical numbers well performed by the cast. On top of the fact that this was an entertaining evening was the love you could see the cast were putting in on this particularly special night of remembrance of director Ursula Wright, who sadly died earlier this year. This was a charity night, it was a special night and at the end over a thousand pounds was raised for pancreatic cancer. The evening could perhaps have been no better way to remember someone who I clearly know from the word of mouth of many special people, was a particularly special one. 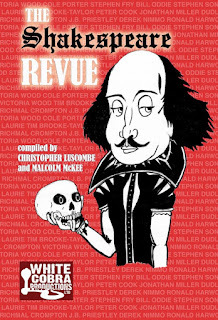 The Shakespeare Revue was performed at The Playhouse on Saturday 19th November only. The show is being performed at The Place, Bedford on Friday 7th October, 2016.